A must for any collection or just for show. 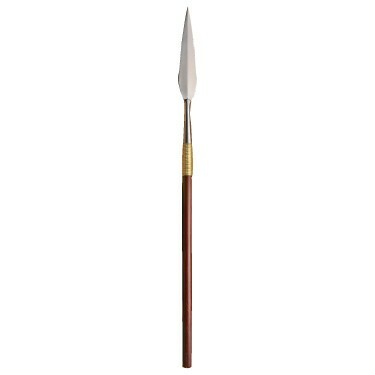 The spear readily identified as one of the early Zulu nation weapons. 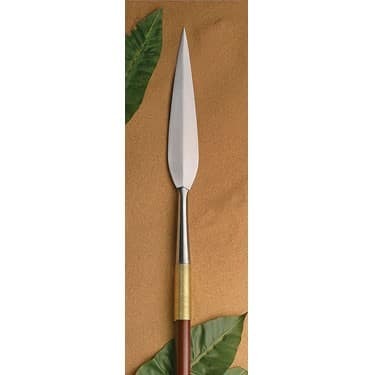 Famous short shafted large bladed spear used with a cowhide shield. High carbon tempered steel blade with brass wire reinforced socket on a wood shaft. Sized to allow am underhand stabbing fighting style. Supposedly named after the sound made as it pierced the enemy. Imagine two of these on the lounge wall.